FREE Colgate Optic White Toothpaste Sample! You are here: Home / FREEbies / FREE Colgate Optic White Toothpaste Sample! 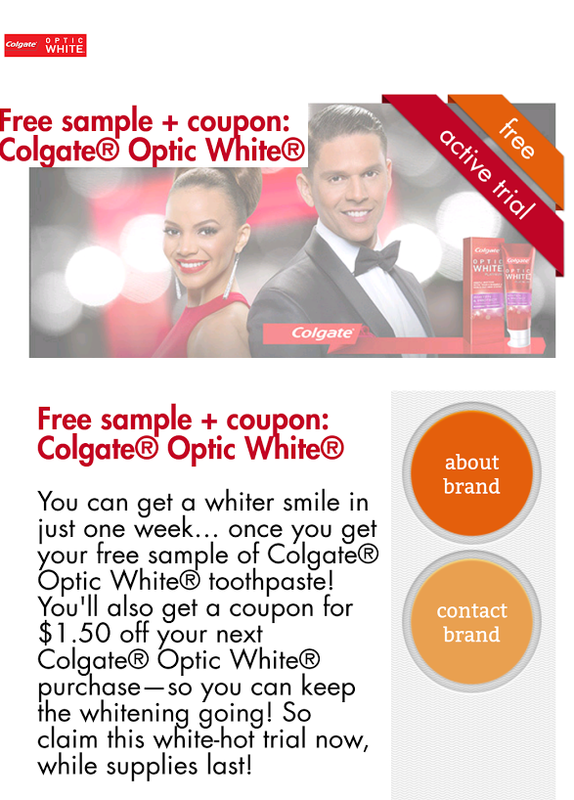 Get a FREE Colgate Optic White Toothpaste Sample! Just follow the instructions over here to get your FREE Colgate Optic White Toothpaste Sample!